The new draft Station Area Plans for light rail in the City of Waterloo suggest applying maximum parking requirements in transit station areas, as well as deeper parking reductions in areas closest to stations. Meanwhile, the city is undertaking a parking utilization study in Uptown, with an eye towards possibly beginning to charge for parking. Last night, a draft of the City of Waterloo’s Station Area Plans for ION was presented to council. (You can find the report as a part of this 200+ MB council packet document.) We hope you’ll take the opportunity to participate in the upcoming public consultations on the draft, but for now, we’d like to draw your attention to the appendices, which deal with parking within station areas. The report first compares Waterloo’s current parking requirements for projected land use scenarios within light rail station areas with those of five other cities: Houston, Markham, Minneapolis, Seattle, and Vancouver. It also looks at policy best practices employed by each to manage parking. Under present conditions, Waterloo requires more parking than nearly all of these other cities, save for Markham (whose policy of requiring that almost all parking be free appears to be designed for transit failure). While the various policies like reductions for low-to-medium income housing, carshare and carpool spaces, shared parking, and cash-in-lieu of parking are great examples, it’s disappointing there is no comparison with communities that have eliminated parking requirements. Especially when there are examples from Ontario that aren’t embarrassingly awful. 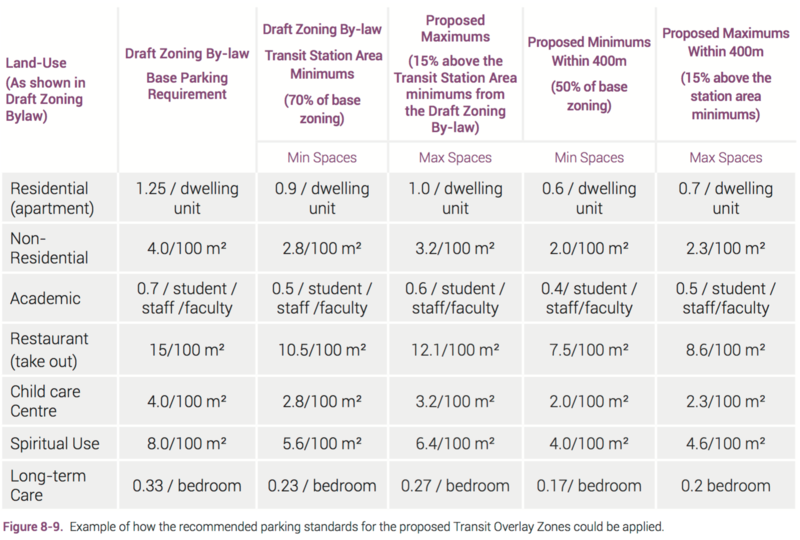 The draft plan suggests altering Waterloo’s draft zoning bylaw requirements for station areas in two important ways. The first is to impose a parking maximum of 15% above the minimums. The second is to apply increased parking reductions of 50% within 400 m of stations, and allow buildings within this radius to maintain parking on sites outside. Meanwhile, the City is also conducting an Uptown parking utilization study. From the brief description, the study will be “transportation focused” and will be “used by staff to develop a parking enterprise financial model.” This sounds like the city might actually be considering charging for parking in a way that covers the costs of offering it, while also managing demand. The first public meeting on the parking study will be this afternoon in two sessions from 2-4pm and 6-8pm at the Waterloo Memorial Recreation Centre. 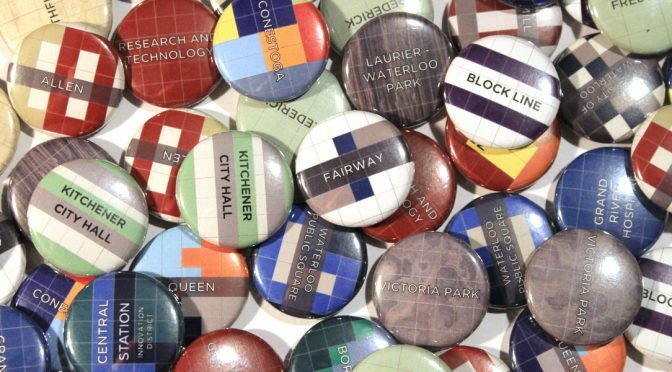 Waterloo’s peers are Houston, Markham, Minneapolis, Seattle, and Vancouver? Who would have known!